Have you heard of the Pokémon called Slowpoke? 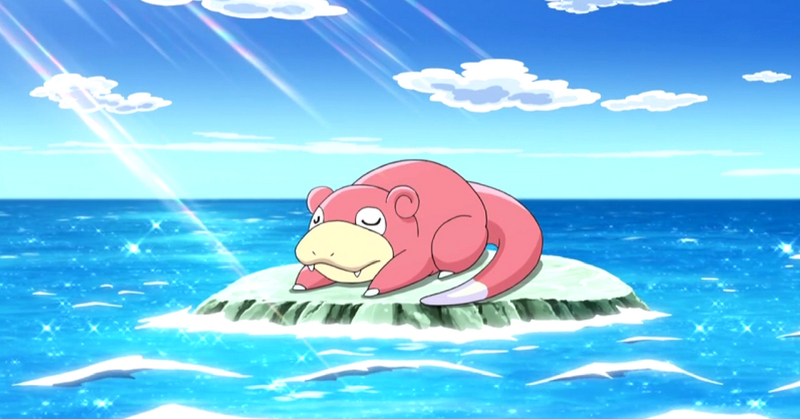 Described as the ‘dopey’ Pokémon, Slowpoke is a pink Pokémon known for being really cute and… well… very, very slow. In the animated series, this slowness extends to its movements, its speech, and its thoughts as well. So imagine our surprise when news broke that Japan would be holding a festival in real life to celebrate the cute and lethargic pink creature. Slowpoke is known in Japan as ‘Yadon Ondo’ and has received a 3 minute-long music video to promote the event. The music video (linked below) shows a group of young children singing a theme song and dancing around large Slowpokes of the people-wearing-suits variety, who also lumber around and sing. The whole thing is very pink, slightly bizarre, and wholly endearing. Yadon’s Day will start on the 10th of August and continue until the 12th of August. The festival is meant to celebrate the 30 year anniversary of the Great Seto Bridge, which is a connection point between various islands between the Okayama and Kawaga prefectures in Japan. Japan is no stranger to strange but wonderful festivals, including the beloved Pikachu Festival. This particular festival will allow the public to meet Slowpoke mascots and buy Slowpoke-themed products, sold from a Pokémon Center open locally for the event. This is a special brand of udon noodles called ‘Udon of Yadon’, which sounds amazing. Fans can also stand to meet the voice actor of Pokémon’s very own Ash Ketchum (known in Japan as Satoshi). All in all, it looks like a fun, relaxed time with one of the most chill Pokémon out there. So if you’re in Japan during this time, why not consider traveling to Kagawa to hang out with this cute little pink Pokémon? Also, here’s the trailer / theme song that was promised. Enjoy.